Learning to drive can be a difficult process at the best of times, and when winter comes around many would-be drivers can be totally put off by the added pressure of having to learn in harsh, wintery conditions. Whilst it is certainly true that winter brings with it its own unique set of problems, it’s also true that all drivers will have to deal with these problems at some point in their driving careers. 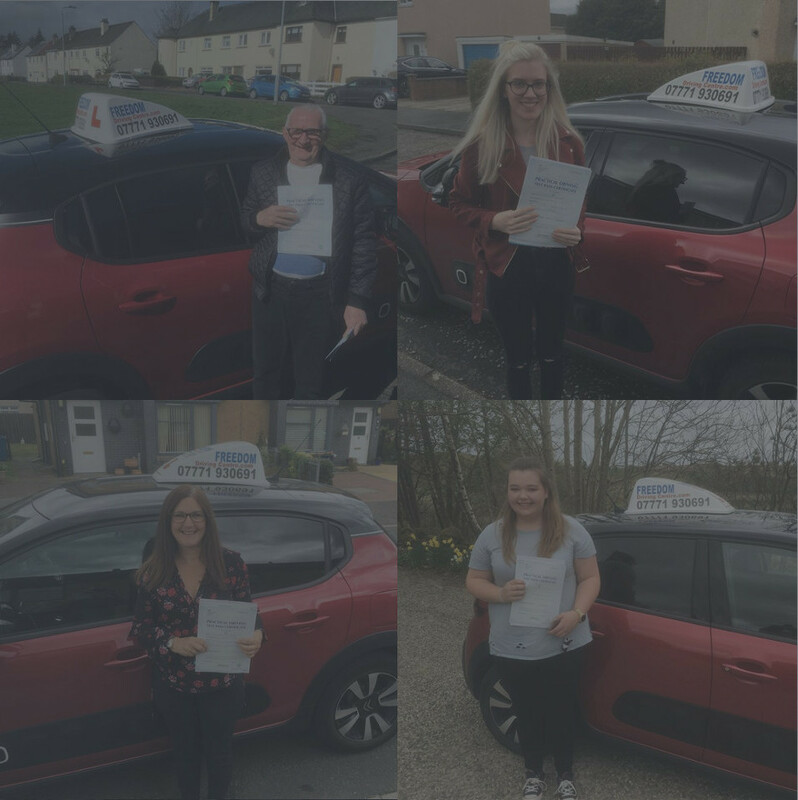 Learning the right skills at the start of your driving experience can give you the confidence to drive safely without pressure or fear, and this is exactly what our driving lessons in Paisley set out to achieve. Having to deal with shorter, darker days, with little traction on roads that are often a little busier than usual can make the actual process of learning the skills and manoeuvres involved in learning to drive that bit more daunting. However, it is our experience that having to engage and deal with winter driving can often make our student drivers a more complete, more experienced and more confident driver when it comes to tackling the road on their own. Certainly, we would never discourage anyone from taking up driving lessons in Paisley and Renfrewshire at this time of year, as long as they kept to certain rules and best practices when out on the road. At Freedom Driving Centre we believe it is important during our driving lessons in Paisley to teach our students how to deal with whatever the road – and the weather – can come up with. Whilst it is obviously dangerous to drive in extreme, hazardous conditions, following the following guidelines can help drivers of all ages and levels of experience to successfully navigate through the winter months. Drive more cautiously when on slippery, icy roads. This can mean driving slower, but more important than this even is to try to anticipate your route and plan ahead for times when you need to slow down or make a turn, for example. Be aware of your surroundings – keep looking ahead and use your mirrors more frequently. Choose traction over power when starting from a stationary position. By this we mean use the gas less, as overrevving your engine can cause the wheels to slip and lose traction on the ground. Try to anticipate moments when you are going to brake and act accordingly. Sudden braking is not recommended on icy roads, so try to compensate by braking gently whenever possible. The key to learning any new skills is practice and persistence, and driving in the winter is no different in this regard. By developing skills that enable you to drive confidently in different conditions you can learn to anticipate, and if possible avoid, difficult or potentially dangerous situations.